Sohrab Faqeer Sindhi Sufi Music Singer. He was born on 1934 in Khairpur Sindh,He was most popular Sindhi Classical Music, Sindhi Sufi Kalam Artist. He was famous singer of Sindhi language. He has sung super hit Sufi Classical Music and he was respectable Artist of Sindh. He sung his first song at shrine of "Kush Khair Muhammad", was "Kadhy Kadam Kaya Khan Bahar Ker". After learning of Music Education he joined group of Artists and started singing in "Bhagat Style". Sohrab Faqeer was very recognized as the greatest Sindhi Folk Music Artist in Style Music, playing with "Yaktaro and Chapri" with yellow Turban with his group of Sindhi Sufi Faqeer's. He was recognized Sindhi Singer and he sung poetry of various poets such as "Hazrat Shah Abdul Latif Bhitai R.A", "Hazrat Sachal Sarmast R.A", "Hazrat Madhu Lal Shah Hussain R.A", "Hazrat Baba Bulleh Shah R.A", "Hazrat Sultan Bahu R.A", "Hazrat Ghulam Farid R.A" and other popular poets, he created good name in Sindh Music. 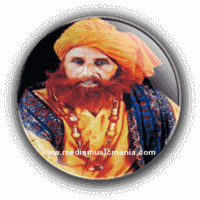 He was great Sufi Singer of Sindh he sung specially Sufi Raag in all important congregations and shrines. Sohrab Faqeer started singing with his uncles when he was eight years old. He got training from "Khan Sahab Khety Khan" in Rohri, and also he got more musical education from "Ustad Kheta Khan" of Patiala. His visited various countris and he gave great performance in Sindhi Sufi Songs. He was awarded Pride of Performance Award, Shah Abdul Latif Award. Sohrab Faqeer was breath his last on 23rd October 2009. I have selected most popular Sufi Music of Sohrab Faqeer.